Sony will be growing its Xperia line in early 2013 with the budget friendly Xperia E in single and dual-SIM flavors. The Sony Xperia E and Xperia E Dual will be coming black, white and pink in the first quarter of 2013, and will be sporting Android 4.1 Jelly Bean as their operating system. A 1500 mAh battery will be powering the 1GHz processor, and while that may not sound like much, the software will put Wi-Fi and data to sleep after a few minutes of no screen activity. Your calling and messaging will continue to function, and one simple touch to the screen will bring everything back to life. No word as of yet as to what locations can expect to see this latest Sony device hitting the shelves, but with the dual-SIM option, it seems Europe will be a safe bet. Sony Mobile Communications ("Sony Mobile") today announced a new affordable addition to its Xperia smartphone range, Xperia E. Sony's latest Android smartphone will be available in both single and dual SIM versions from Q1 2013. 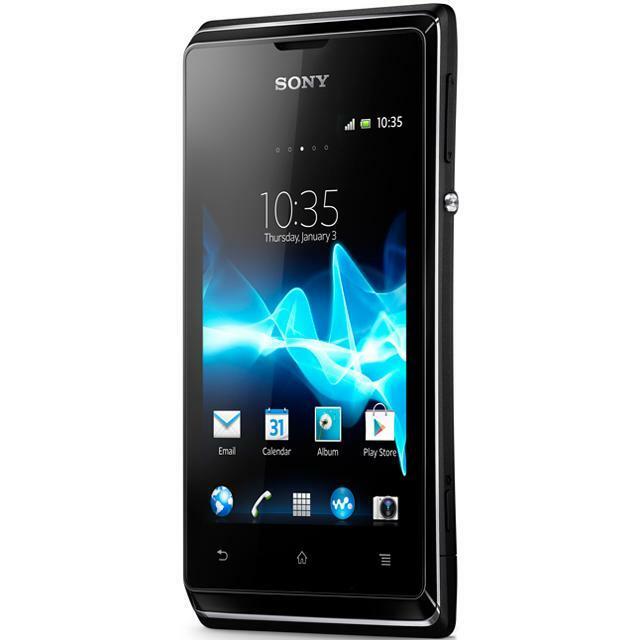 Xperia E is a compact and competitively priced smartphone that is engineered for simplicity. Available in black, white and pink, Xperia E boasts outstanding HD Voice quality that makes phone calls clearer than ever before. It also features noise cancellation that filters out background noise so consumers can hold crystal clear conversations in any environment. Xperia E has also been designed to let consumers stay on top of cost and power consumption. The data usage application monitors how much is being spent and the extended standby mode increases the standby time up to 4 times. When the screen has been in sleep mode for a few minutes, Wi-Fi and data traffic will be disabled and most applications will be inactive to save battery life. However, calling and messaging will continue to work as normal. Once you touch the screen to wake the device up from standby, all functions are back to normal. It will also be available in a dual SIM version – Xperia Edual – so that consumers can easily switch between tariffs with just one touch to stay on the most cost effective plan. "Consumers looking to take their first steps into the world of Xperia smartphones would be well advised to look at Xperia E or Xperia E dual. They are perfect for those seeking affordable access to the quality and functionality more traditionally associated with high-end Android smartphones," said Calum MacDougall, Director Xperia Marketing at Sony Mobile Communications. Xperia E comes equipped with superior sound quality with the in-built "WALKMAN®" application that includes xLOUD™ audio technology, 3D surround sound and a manual equalizer. With access to millions of music tracks1 from the cloud based streaming service, Music Unlimited from Sony Entertainment Network2, consumers can also easily view and share their content on TV, tablet and PC with DLNA wireless connectivity.